Neurofeedback is a subdivision of biofeedback. To understand the concept, let’s briefly explore the term biofeedback. Biofeedback is a method of gaining information from the body. This could be by monitoring skin temperature, blood pressure, heart rate, brain waves and other body conditions. We do this to help promote control over normally involuntary bodily processes through conditioning, also called operant conditioning and relaxation. There are several types of biofeedback: heart rate variability (HRV), thermal (as seen in a “mood ring”), muscular (EMG), and neurological (EEG or HEG), also called neurotherapy or neurobiofeedback or neurofeedback. All forms of biofeedback employ some type of computer or monitoring device along with electronic sensors to give information about what is going on in the body. With neurofeedback, it is giving feedback about specific brain activity. EEG Neurofeedback measures brain waves and HEG Neurofeedback measures blood flow to the pre-frontal cortex. With HEG (hemoencephalography) neurofeedback therapy we focus on controlled brain blood flow and corresponding changes (in oxygenation). HEG is a neurofeedback technique that trains you to consciously regulate blood flow to your brain. What makes HEG neurofeedback so special, is that it is completely non-invasive – it simply measures. HEG neurofeedback targets the prefrontal cortex that often correspond with particular challenges. The prefrontal cortex (the area behind the forehead) is involved with our executive functions such as attention, organisation and planning. Low blood flow to a region like the prefrontal cortex (your forehead area) can affect your concentration, relaxation, and higher-order thinking. Those with deficient blood flow to this region may typically suffer from lack of concentration, anxiety, brain fog, poor critical thinking skills, poor problem-solving ability and emotional dysfunction. HEG Neurofeedback is considered a very effective technique for alleviating unwanted psychological impairment stemming from poor blood flow. Research reveals that many brain function challenges are rooted in prefrontal cortex executive function failure. For example, impulse control issues (associated with ADD and ADHD) are generally marked by decreased blood flow. And although other areas in the brain regulates functions such as memory, auditory processing, word finding, emotional responses, direction etc, the prefrontal cortex mediates information (or charts the course) for these other brain area processes. HEG can be seen as a wonderful natural remedy for ADD or ADHD, or any cognitive impairment stemming from poor blood perfusion. With enough neurological feedback (Neurofeedback provided by our TescaHEG device) a person becomes able to consciously control an unconscious process – in this case regulating the blood flow to the brain. The neurofeedback unit used in a neurofeedback session, has been engineered to provide us with accurate information about the blood flow to certain areas of your brain. Training the prefrontal cortex with neurofeedback therefore exercises attention and the area that controls it. How does HEG neurofeedback work? HEG neurofeedback typically entails baseline assessments (usually to measure cognitive function), followed by a training phase, and inevitably follow-up assessment to determine the degree of improvement derived from training. Baseline assessment: At Brain Gain, a baseline assessment will be taken prior to any training, to determine a person’s current level of cognitive functioning and blood flow. This assessment provides us with the ability to track a person’s improvement following the HEG training sessions. Test of Emotional Stability and Cognitive Ability (TESCA): This test is designed to assess cognitive function also taking into account the emotional stability of the environment in which the individual operates. HEG training ~ The FUN part! : Individuals will then engage in HEG neurofeedback with sessions spanning up to 60 minutes (most are 30 to 50 minutes). The HEG training is typically conducted 2-3 times per week, at a Brain Gain Concentration Centre. The training is mostly conducted over a span of several months. Some people take longer than others to learn how to regulate cortical blood flow. Others may become adept at blood flow regulation, but they continue to practice HEG to further enhance their abilities. At Brain Gain we place the tescaHEG unit over the forehead. Behind the forehead is the Prefrontal Cortex (PFC) which plays a key role in executive function (e.g. higher order thinking, focus and concentration). So, in a neurofeedback training session, we are actually exercising the PFC. The brain responds to exercise like a muscle; with regular brain exercise (HEG sessions), activity increases in conjunction with demand for increased blood flow. As neuro connections are strengthened the brain actually grows larger and more efficient. Neurofeedback aims to improve mental and emotional functioning by directly training the brain’s physiological functioning. Why is blood flow in the brain important? It is simple – blood is the only transport system in the body which can deliver the oxygen and fuel required by every cell to function normally. Even in a relaxed state, the brain has one of the highest energy demands of all the organs, and when it is activated, its energy demand increases sharply. 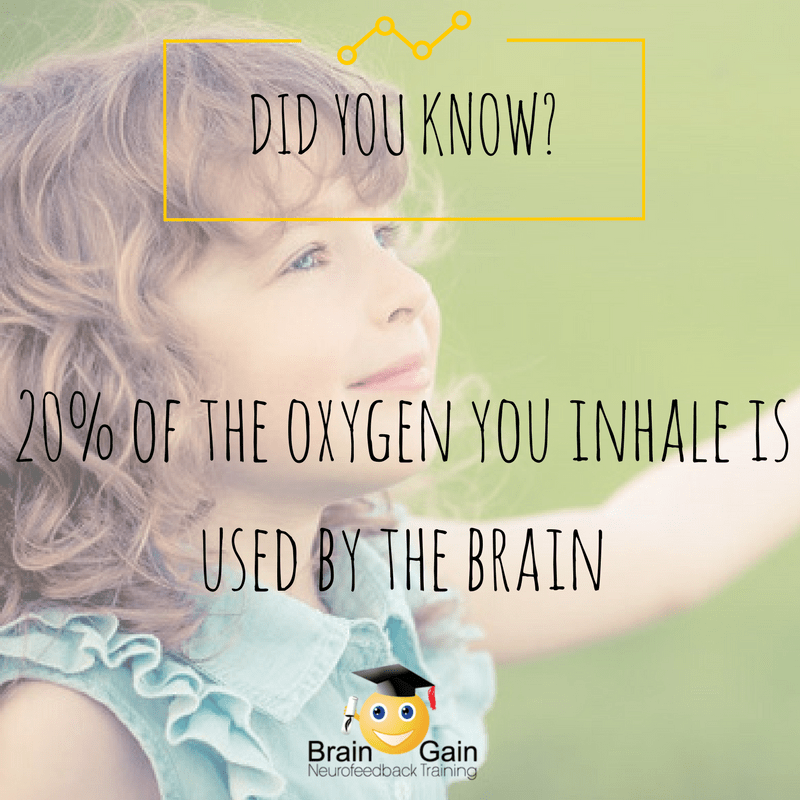 It makes perfect sense then, that when our brains are engaged, blood flow will be increased to ensure the reliable delivery of all the oxygen, fuel and other nutrients necessary for optimal functioning. A personalised neurofeedback training course protocol is provided for clients after completing the TESCA. After completing a course of training, clients are re-tested on the TESCA to evaluate their response to the training.